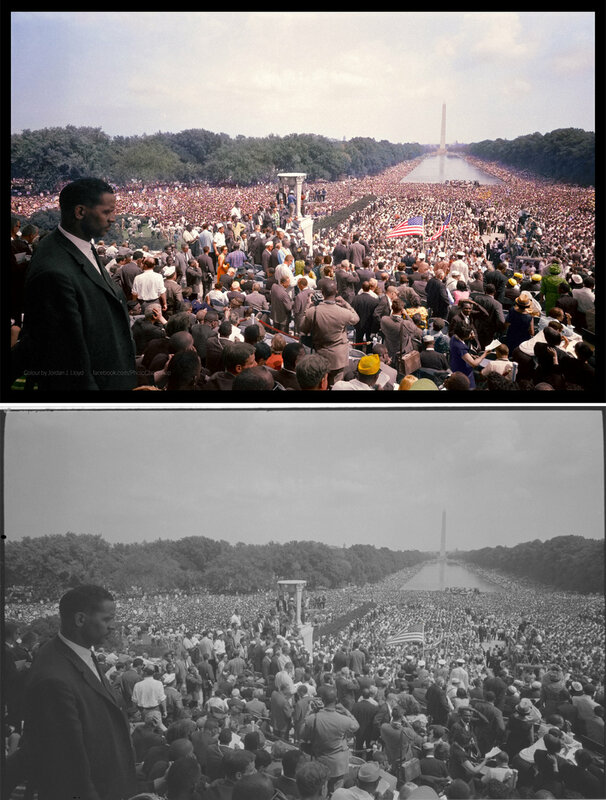 I know I just wrote about this in the entry below, but this NPR post of Colorizing the March on Washington caught my eye today and it was too good and relevant not to share. Today is the 50th Anniversary of the March on Washington and Martin Luther King Jr.’s “I Have a Dream” speech. As the country remembers and pays tribute, here are some colorized images that will make you feel as if you were there on that historic day. View of the huge crowd from the Lincoln Memorial to the Washington Monument. Colorized by . Civil rights leaders meet with President John F. Kennedy in the oval office of the White House after the March on Washington. Colorized by . 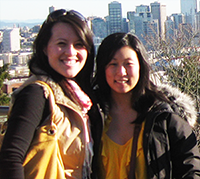 Uh-oh….I hadn’t realized it’s been a month since my last post! We’ve been busy with summer it seems! Last week was spent at the lake in Brainerd, Minnesota for a mini family reunion with Nick’s family. With our three young niece and nephews running around, there was never a dull moment! Between the great conversation, food, drinks, and laughs we always share with my in-laws, it was a very much needed summer escape from the daily grind. We’ve been blessed to have quite the summer…although dare I say it, I think I’m ready for fall and crisp weather again?? Sacrilege, I’ll regret these words in a few weeks! But I’m looking forward to autumn, sweaters, layers, pumpkin lattes, the anticipation of the upcoming holiday season and spending evenings cooking something slow and yummy over a warm stove again. I’m digressing. I really wanted today’s entry to be about something fun a friend posted earlier on Facebook today. Maybe it’s my particular newsfeed, but have you noticed that Facebook has become less and less about people and their daily going-ons and more and more about news and interesting articles? I kind of love it. I always learn something new every day by reading an article posted or recommended on my Newsfeed. This post is about 20 Historic Black and White Photos brought to life by a mix of professional and amateur digital artists who add color and real-life vibrancy to historic photographs. Look at the photo below…. An art history major in college, I’ve always been a visual person. 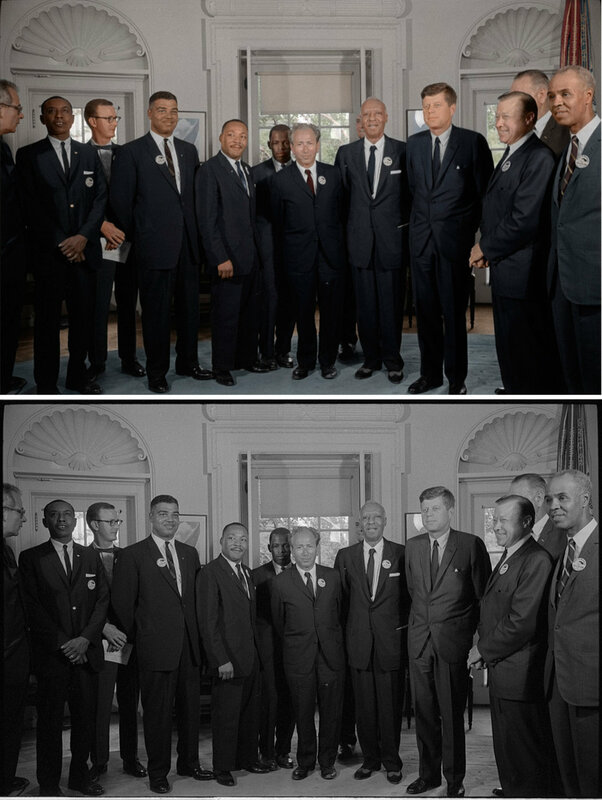 Purists may not like the idea of anyone messing with the authenticity of a historical image but in looking at these skillfully edited photographs, I was struck by how a black and white photo captured 70+ years ago can become more impactful just by adding color the image. More details and emotion pop out at you. 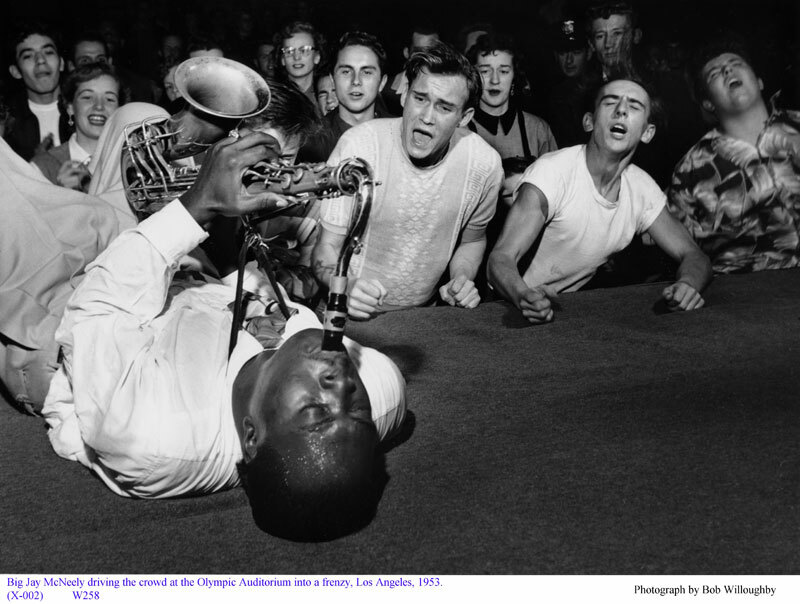 This is a great action image in black and white, but compared to the colorized image, a little static. 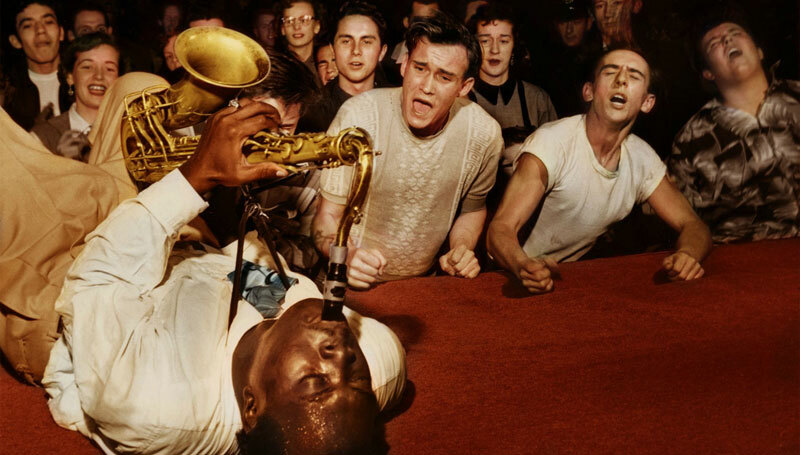 In the color photo below with its warm reddish and yellow tones, you can feel the sense of urgency, the enthusiasm, and the euphoria these audience members are feeling as they watch this jazz great work his magic onstage. How neat, this glimpse of history that allows us viewers to relate to this moment as if it really happened in the present day! Check out the link above for more cool examples of colorized b/w historical photos! Like many last evening, I was glued to the television watching President Obama’s second inauguration ceremony. Regardless of politics, I love the hopeful spirit of Inauguration Day. It is what makes this country great. Admittedly the highlight of the night was when Michelle Obama came out in that stunning, ruby chiffon and velvet gown by Jason Wu. Nick heard me whoop with glee from the other room! While she looks beautiful in anything, what struck me was how bold and confident her color choice was, and how appropriate it was in marking the beginning of their second term in the White House. Red is a strong statement. It gives everyone a boost whenever they wear it. It’s an “I don’t mess around” color! Forget the LBD. We all need a little more red in our lives, don’t you think? Beautiful couple and family. And wow, those arms.